Whether you're making this for a Galentine's Day brunch or just for yourself, this tri-colored beet tart is both colorful and tasty! First roast the beets. Heat your oven to 425°F. Trim off the leaves and stems and wash the outside of the beets. Pierce them with a knife in a few places. Wrap them loosely in aluminum foil. Place them in the oven and roast for an 45minutes to an hour (depending on the size of the beets). When done, they should be easily pierced with a knife. Remove the beets from the oven and let cool, then peel. Thinly slice the peeled beets with a sharp knife. Lower the heat of the oven to 350°F. Roll out puff pastry sheet to a 14 x 12 inch rectangle on a large piece of parchment paper. Place parchment paper with puff pastry on a baking sheet. Score a 1-inch border around edge of puff pastry with a paring knife; prick area inside border several times with a fork. 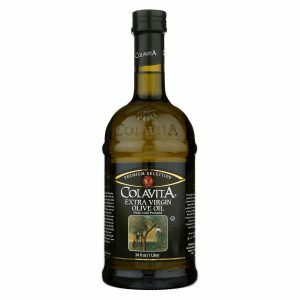 Drizzle with 1 tbsp Colavita Olive Oil. You can use a pastry brush to brush the dough with olive oil. Bake pastry for 14 minutes or until it is a light golden color. Arrange beet slices over the puff pastry, inside the border. Overlap the beets slices by about 1/2 inch. Start with the golden beets, then the Chioggia, then the red beets. In this way you will create a beet rainbow. Or feel free to mix and match in a pattern of their own. 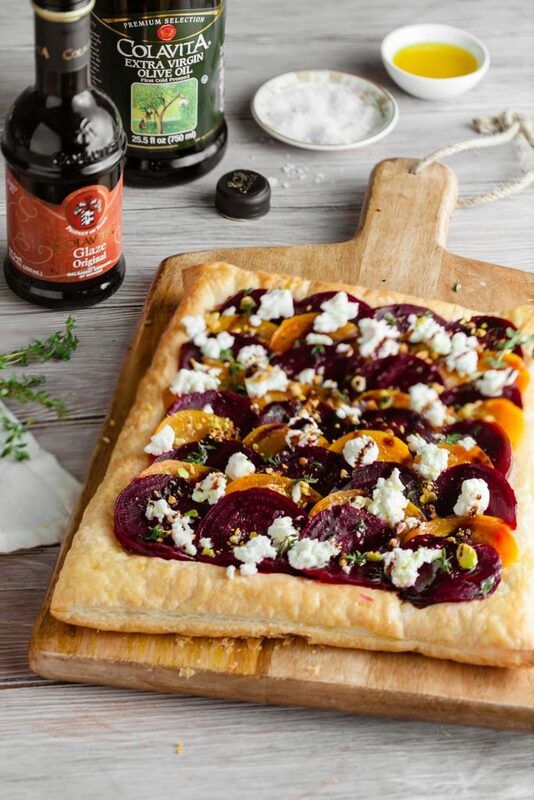 Drizzle the top with Colavita Olive Oil and sprinkle with goat cheese and flaky sea salt. Return the tart to the oven and bake for 12 minutes or until crust is golden brown. Sprinkle the cooked tart with crushed pistachios and fresh thyme. 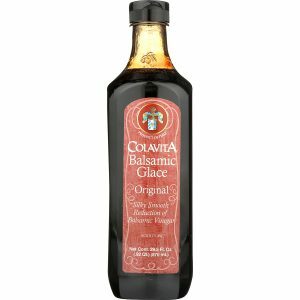 Drizzle with Colavita Balsamic Glaze. Serve Immediately.